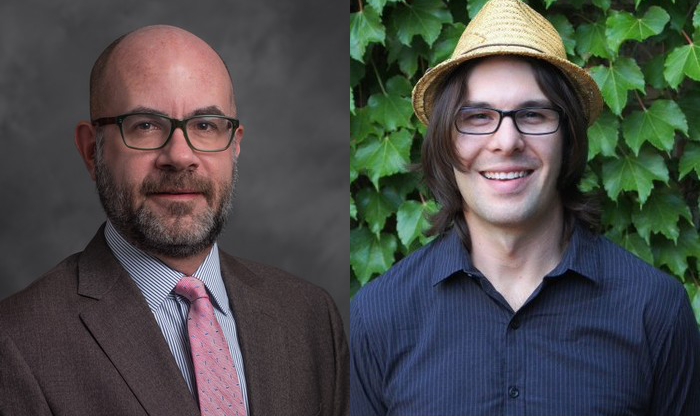 Robert Richardson is an associate professor and Nathan Brugnone a graduate research assistant in the Department of Community Sustainability at Michigan State University. What would the cost to Michigan’s economy be of a major spill from the twin pipelines owned and operated by Enbridge Energy at the Straits of Mackinac? Although much has been said about the environmental impact, no thorough analysis of the potential economic costs has been done until now. We have authored such an analysis after being commissioned by FLOW (), a Great Lakes water law and policy organization based in Traverse City. The objectives of the report were to (i) provide an estimate of regional economic damages resulting from a potential breach of Enbridge Line 5 near its crossing at the Straits of Mackinac, and (ii) to address the public need and desire for transparent information regarding the potential impacts of an oil spill. Here’s what we found. A spill from Enbridge Line 5 in the Straits of Mackinac could contaminate nearby municipal drinking water, devastate major fisheries, kill aquatic and terrestrial wildlife, impair critical ecosystem services, diminish coastal property values, and tarnish the image of the State of Michigan and its high levels of ecological integrity. Pollution from an uncontained spill would almost certainly impose negative impacts on the State’s multibillion-dollar tourism industry, particularly the iconic and historic tourist destinations of Mackinac Island, Bois Blanc Island, and Mackinaw City. Our economic damage estimates are predicated upon a hypothetical scenario involving a major spill of approximately 2.5 million gallons (60,000 barrels) of crude oil that impacts approximately 900 miles of Michigan shoreline. While these assumptions were primarily derived from review of public documents and expert interviews, it is important to note that this oil spill scenario does not necessarily reflect the worst-case scenario. Rather, it is a reasonable case that is informed by expert knowledge. In the context of Line 5, the worst-case scenario may be far greater in terms of scale, scope, and the magnitude of impacts. Collectively, the economic damages from this oil spill scenario in the Straits of Mackinac are estimated to exceed $6 billion, including nearly $700 million in costs for natural resource damages and restoration, and more than $5.6 billion in regional economic impacts to tourism, commercial fishing, municipal water systems, and coastal property values. These estimates are potentially conservative given the sensitivity of the freshwater ecosystem and the presence of numerous endangered species. Furthermore, the estimates do not account for public health consequences, emergency evacuations, delays to the Great Lakes shipping system, the potential challenges related to containment in this environment, or the possibility of an oil spill of greater geographic scale. Recent events have demonstrated that the Straits of Mackinac are at risk of contamination, and that Line 5 is vulnerable to a rupture. Last year, dozens of bare metal gaps were identified in the protective coating of the underwater pipeline. Then, in early April of 2018, about 600 gallons of petroleum-based dielectric fluid leaked into the Straits of Mackinac and Lake Michigan after two, underwater power cables in the Straits of Mackinac were damaged by a marine vessel anchor strike; the Straits are a no-anchor zone. An anchor from that same vessel also dented Line 5 in three places. While a broader understanding of risks of a breach of Line 5 in the Straits of Mackinac is needed, such risks call for consideration of the precautionary principle, the legal duties of the public trust doctrine, and the potential impacts of a worst-case scenario to make an informed decision regarding the future of the pipeline. The intent of our analysis was not to recommend whether or not Line 5 should be shut down. But we think it is essential information that public officials – and the people of Michigan – need to know. How does one drag an anchor and dent a line in three places without trying ? Our supposedly experienced and business savvy governor signed an agreement in 2017 to continue to allow Line 5 to operate. A rupture of this line would adversely effect hundred of thousands if not millions of Michiganders. Every Michigander has an ownership stake in this public water. At the very least the governor could have required Enbridge to indemnify the State of Michigan and its citizens to the amount of $6 billion with insurance as the minimum cost of doing a risky business in Michigan. I wonder does the governor have home insurance? First, like many non-(D) with engineering backgrounds, I have written A.G. Schuette (copy to Enbridge) and recommended very high stds for Enbridge. Bill Schuette listened , he acted, and now Mr. Snyder is following along .. finally. Many non-(D) have lost confidence in ENB mgt, which refuses to look us in the eye and tell us, "our pensions are tied to this, we're on this." They're making the MSU Board of Trustees look competent. Many are running out of patience for both. As to the writers of this -- like E. Warren, they appear *not* have any financial nor engineering background, and are members of the major political party that is dominant on taxpayer-funded colleges. Thus, their work is merely just political fodder. Res ipsa. I don’t condone this potential oil spill, but don't understand why it is considered to be such a big deal. Oil has always oozed out of the ground to foul land, lakes and oceans. That’s how people first discovered the stuff. In nature some oil on the surface evaporates off as naphtha (probably the basis of Greek fire). Other oil is digested by bacteria converting it into simple organic compounds that other organisms feast on, leading to a localized exuberant biodiversity. The heavier components of oil remain as lumps called bitumen or asphalt. The Dead Sea was called Lake Asphaltites because of the gooey pebbles that floated onto the surface from underwater seeps. This asphalt was used on Egyptian Mummies. Oil found floating on lakes or in puddles was used by Indians to caulk canoes, and as medicines. In ueber environmentalist Santa Barbara County in California an estimated 10 to 160 barrels of oil seep into the ocean daily and have for countless centuries; the locals have made attempts at capping it. If environmentalists really wanted to preserve pristine nature, they would be appalled that drilling for, transporting and processing oil has interfered with widespread oil seeps that enriched the environment before man messed things up. Dear Erwin, what are your thoughts on the Valdez oil spill? The BP oil spill? The Kalamazoo River spill? Your random uninformed words of no big deal would buy you twenty verbal lashes in any courtroom of public opinion. Go back to sleep Erwin - maybe create another nightmare of irrational thought. As a note to Carl's response, every person who sails on the Great Lakes for a living knows for a fact the straits are a no anchor zone, period. Have to wonder why that happened considering, according to state, there has never been an anchor strike since it has been there. Hypothetical situation blown out of proportion by so called experts. What's the impact if line 5 is shut down? Higher gas prices? Cost to consumers of the oil not coming In? What if. Oil transition lines are running through areas and no one cares until some nut job starts calling Wolf. Conservation at the cost of those living around the effected area is highly dangerous to the survival of the region. 1) You're <$0.01 drop in gasoline prices is also hypothetical. 2) 6% of the volume of Line 5 is refined in MI. The rest goes to Sarnia, ON and further on down the line to international markets. 3) You're so worried about higher gas prices. What about collapse of the commercial fishing industry? Real estate devaluation? These two individuals, seemingly without the slightest shred of professional expertise, publish an opinion, paid for by an organization that's chief reason for being seems to be shutting down the Enbridge Line 5, and it's published by this publication. What's wrong with this picture? Can anyone smell ecoterrorism ? The obsession with Line 5 is going a bit to far. Why not work on the opioid crisis? This is Michigan. Oil + cars + wheels = motor city. Far more crucial and pressing things to work on rather than worry about a pipeline that will never leak.